An $80 annual pass offers access to more than 2,000 federal recreation sites and covers entrance and standard amenity fees. 2016 marks the National Park Service centennial celebration – so what better time to find, share and support your parks at findyourpark.com. Passes can be purchased in person at a federal recreation site, or by calling 1-888-ASK USGS (1-888-275-8747), Ext. 3 (Hours of operation are: 8:00 am to 4:00 pm Mountain time), or online here. Since we can’t always get away foroutdoor adventures, indoor climbing gyms provide an excellent way to stay in shape and work on valuable climbing skills you can take outside. Here in Rochester we are lucky to have North America’s largest indoor climbing and high ropes course facility at RockVentures. RockVentures gift certificates are available online here – but be sure to check deal sites like Groupon and LivingSocial for discounted vouchers as well. Paddling centers offer kayaking classes, nature tours and stand-up paddleboarding lessons. Depending on how adventurous your loved one is, they might even consider a SUP Yoga class – yoga practiced while on a stand-up paddleboard! Groupon and LivingSocial are great places to check for giftable vouchers with an affordable price tag. My favorite Christmas gift last year was the Twilight Pass my partner got me for Bristol Mountain ski resort. This was a great beginner option, since the pass was offered through a group ski club program and included lessons. Some ski resorts offer package deals with rentals, lift tickets and lessons included. Check your local ski resort for options, and consider Bristol Mountain’s lift tickets and season passes if you’re in Rochester or the Finger Lakes area. Know anyone that needs a vacation? Don’t we all! A nice holiday gift, particularly for your spouse or partner who loves adventure, would be a weekend getaway in the mountains or woods. Rent a cabin and go get snowed in somewhere! Groupon Getaways and LivingSocial Escapes frequently offer affordable packages that are a short day-trip away. In Western New York you can often find deals at a Finger Lakes bed and breakfast, with tons to explore nearby, or cabins and hotels in the Adirondacks with endless opportunity for adventure any time of year. A friend of ours purchased a whitewater rafting deal on Groupon for her boyfriend’s birthday last year and we made it a group trip. It was an absolute blast! Some of the best whitewater rafting in Upstate New York is on the Black River in Watertown. We had a great experience with Black River Outfitters and highly recommend them! I was lucky enough to receive a skydiving gift certificate for my 25th birthday and it was one of the most amazing experiences of my life. If you know someone who has this on their bucket list, go ahead and give them a gift they’ll never forget. The professionals at WNYSkydiving made me feel very comfortable doing an incredibly risky activity! All runners know that race registrations can get expensive. It’s not uncommon for popular marathons and half marathons to cost more than $100. If you know your loved one has a goal race in the coming year (and always registers at the last minute, like me) why not offer to cover their registration cost? This could even give them more motivation during training. If someone is running a charity race this spring, consider making a donation to the organization in their honor. Maybe instead of paying for someone else’s race registration, offer to do a themed fun run with them! There are a ton of low key running events all over, and the best gift of all is spending time together, right? The Color Run is a great time, check for an event in your area! There are so many options to chose from! Groupon and LivingSocial are full of low cost packages that allow your recipient to try a new studio or a new style. Here in Rochester you can get a Hikyoga package buy one get one free for a limited time – the perfect gift for you and the outdoor adventurer in your life. What about you – are there any gifts you’re looking forward to giving or hoping to receive this year? Do you prefer experiences or things? Share your thoughts in the comments below! I previously posted some reflections from my first snowboarding season, however there was one time before the 2014-2015 winter season that I had attempted to figure out this thing called snowboarding, and that was a seldom-mentioned night in March 2013. Since my partner and a couple of his friends were still very new to snowboarding, and therefore not quite ready to make the trek out to Bristol Mountain, a bunch of us had the idea to purchase an inexpensive “lift ticket” at Northampton Park in Brockport, NY. The ski hill at Northampton Park is pretty rudimentary – featuring only one gradual ski slope and a single rope tow lift. Despite the lack of exciting features, the low price tag of $12 for open ski and $15 rentals makes it a nice place for those who just want to give downhill snow sports a whirl – like us! Since most of us had never even attempted snowboarding before, and my partner – the lifelong skier – had only tried it once or twice, it was pretty much the blind leading the blind. I couldn’t figure out how to even maneuver on a snowboard, let alone make my way down the short, easy slope without falling. The most challenging part for me, however, was learning how to successfully ascend the hill using the rope tow. It wasn’t as easy as the little kids made it look! Once I was able to finally get myself back up to the top of the hill, I managed to get in a handful of runs – and one time I made it almost all the way down without falling. To me, that was a success! Inexpensive rental equipment with step-in bindings. Even though I was atrociously clueless and clumsy on a snowboard that night, it made me want to learn how to do it right. I quickly realized that a lesson from a professional instructor was probably going to be the best way for me to get started in snowboarding – and I’m glad that’s something I eventually pursued. So far in Western New York this December has been incredibly mild and unseasonably warm, with absolutely no snow in sight. I’m aching for the chance to get on my board again and continue to work on my skills – whether it’s somewhere low-cost and nearby like Northampton Park or a more expensive, faraway ski resort. Have you ever been embarrassingly bad at something new? Don’t worry, I have too! Tell me about it in the comments below! This year I decided to go ahead and register for the entire Snow Cheap Winter Trail Race Series, and the first race took place tonight at Cobbs Hill Park in Rochester, NY. It was a very comfortable 46 degrees fahrenheit, and although there was no snow – despite the name of the race series – it was a beautiful night to run some trails. Tonight’s course was a single lap through the park, first making our way around the big hill before ascending into the single-track trails. There were some easy, grassy flat sections and some technical trail sections with rocks, roots and logs. Running these types of trails at night, with only the light of your headlamp, definitely makes it a bit more challenging. However that’s part of the fun of this race series. What also makes this trail race series so fun is the unpredictability of each course. Sometimes the folks at Fleet Feet Sports Rochester like to keep things interesting, as tonight’s race took runners up and down a giant (and I mean huge) leaf pile in the parking lot of the park just before the finish line. You can’t help but laugh when you’re climbing up a massive pile of rotting leaves (oh, the smell!) on your way to the finish. The post-race party was casual and fun, with raffles for exciting prizes like baby carrots and marshmallows! This event does not take itself seriously, so runners should be prepared with headlamps and a sense of humor. I’m looking forward to the five remaining races this winter – keep your fingers crossed for some snow soon! Have you ever tried a low-key trail race like this before? Would you? Tell me about it in the comments below! For the second year, my mom and I participated in the festive “It’s a Wonderful Run” 5k. This USATF Certified 5k race is a part of the “It’s a Wonderful Life” Festival in Seneca Falls, NY – believed to be the inspiration behind the movie’s fictional town of Bedford Falls. Poster art from the film. Copyright belongs to the distributor, RKO Pictures, the publisher or graphic artist. While the connection between Seneca Falls and Frank Capra’s “It’s a Wonderful Life” has never been officially confirmed, the town has dubbed itself “The Real Bedford Falls” due to the undeniable similarities. For one weekend every December, the town transforms into the 1940s-era fictional town to celebrate the holidays and the movie’s themes of small-town life, success and failure, and most importantly, friends and family. The Gould Hotel turns into Martini’s bar in reference to the film. The race begins at 4:40 pm, right around sunset, and takes runners through the historic town illuminated by Christmas lights and holiday displays. The starting line is on the famous Bridge Street Bridge, which takes the name “George Bailey Bridge” for the event as a nod to the film. The atmosphere is festive and Christmassy, and despite drawing over 4,000 registered runners this year, one can’t help but feel like they are a part of a small-town family community. Approaching the “George Bailey Bridge” at the start of the 5k. Along the 3.1 mile course, historic homes are decorated for the season and front lawns are filled with spectators having bonfires and cheering on the runners and walkers – everyone wishing “Merry Christmas” as you pass by. One home even offered participants shots of beer and Baileys Irish Cream – an appropriate choice given the event’s theme! Since my mom and I are both big fans of the movie, we decided to make the event a new mother-daughter holiday tradition. Last year was my mom’s first time running a 5k and I set a new personal best for the distance. This has been an off year for my running, so rather than trying for a new PR, I decided to use the race time to spend with my mom. I’m glad I did, as I had great time encouraging her to push herself while taking in the joyous event. I can run a 5k any time I want, but time spent with family is precious and priceless. After all, that was Frank Capra’s message in “It’s a Wonderful Life” and a valuable lesson during the holidays and all year long. Do you have any special holiday traditions? Share them in the comments below! 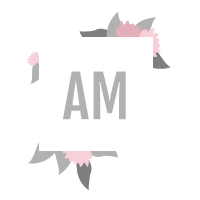 If you enjoy reading, please subscribe via email to keep up-to-date with my adventures and happenings! After getting bit by the trail running bug a few years ago, I decided to try my hand (or feet?) at winter trail running. Fleet Feet Sports and YellowJacket Racing put on a winter trail race series each year called Snow Cheap Winter Trail Series, and in January 2013 I decided to give it a try. 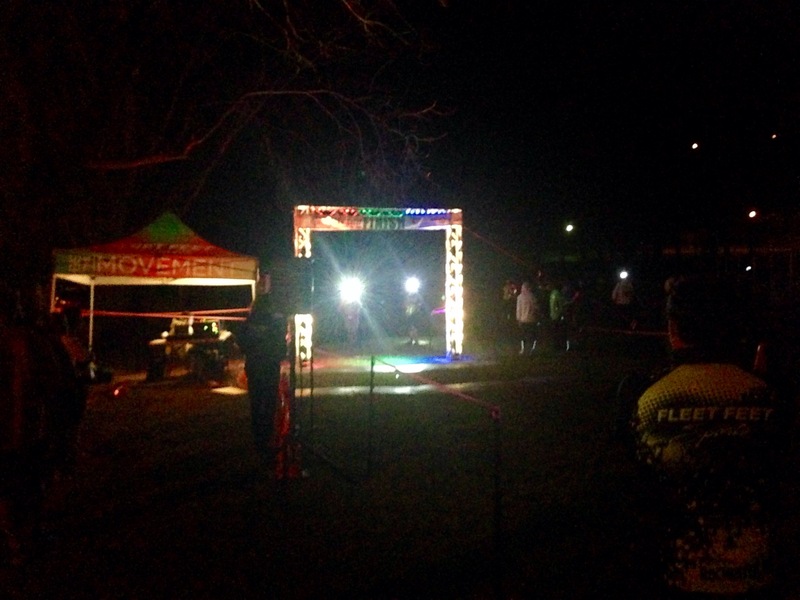 The series features 6 nighttime trail races at Cobbs Hill Park in Rochester, NY. Each race varies a bit in distance, but promises a challenging (usually hilly) course between two and four miles. Because the races take place at night in the dark, headlamps are required for all runners. This was not only my first time racing in the winter, it was also my first nighttime trail race. Although the trails are heavily congested during the first part of the race, once everyone settles into their pace and some distance opens up between runners the trails can become a peaceful winter wonderland. … and mud the next week. The races go on as planned regardless of the weather (unless there is a state of emergency), and in Rochester that can mean fluffy snow at one race and muddy trails two weeks later. I got a nice taste of this variety in 2013, when I participated in three of the six events. The first race featured knee-deep fresh powder snow, and the last one I attended was a mucky, muddy mess. Whatever the conditions, the atmosphere is always a lot of fun and the post-race party is a great way to warm up in the lodge. I’m looking forward to registering for the entire series this winter and hoping for some snowy, wintry weather! Do you enjoy winter trail running? Share your thoughts in the comments below! Here in Western New York the winters tend to be long and snowy. For those who don’t enjoy winter sports it can be quite dreadful. Before last winter, I was one of those people. I didn’t grow up skiing like many people in Upstate New York, so I really missed out on some of the best winter recreation available. After having ACL reconstruction surgery following injuries in both of my knees, skiing made me very nervous. For some reason, though, snowboarding always piqued my interest and seemed better-suited for my skills (and clumsiness). The first winter dating my partner, a lifelong skier and ski racer, also happened to be his first winter snowboarding. He was a natural and eventually snowboarding completely replaced skiing as his go-to winter activity. Fast-forward to the 2014-2015 winter ski/snowboard season and he was ready to get me out on the mountain with him. Riding the Sunset Chairlift at night is beautiful and serene. We purchased a ski club package, offered through Rochester Young Professionals, that provided 12 weeks of Tuesday night twilight lift tickets at nearby Bristol Mountain. Since my partner gets a season pass at Bristol Mountain every year, we agreed to go each Tuesday after work from mid-December to early March. All smiles after my first snowboarding lesson! One of the biggest selling points of this package was that it included a group lesson each night, if desired. I took advantage of this option a couple times and, because I was the only snowboarder interested in a lesson on those nights, the group lessons actually turned into one-on-one lessons with a snowboard instructor. This was incredibly valuable, especially when I was first getting started. My partner was also able to provide helpful tips and instruction, though his patience turned out to be equally as beneficial as his knowledge. Snowboarding with this guy makes winter a lot more fun! A collision with a skier who slammed into me from behind, causing severe lower back pain and bruising that lasted for weeks. Getting the right equipment and gear – I had never even skied before! Trying to master the toe side turn without catching an edge – I fell a lot. Getting over my own fear of falling and crashing. Getting easily frustrated with myself, and taking it out on my very patient, very loving partner! Finally getting my heel side and toe side turns! Improving my technique and increasing my confidence. Acquiring a few favorite trails. By the end of the season I was most comfortable on blue square trails. Getting to experience all types of snow conditions for the first time: fresh powder, packed snow, slush, etc. The Morning Star Cafe aka The Waffle Hut. I’m not ashamed of how much I enjoyed this yummy mid-mountain treat! Spring snowboarding in 60-degree weather in April! Bonding with my partner in a new way that brought us closer than ever. Overall it was an amazing winter and I learned that my love of the mountains definitely extends to snowboarding as well. I’m already eagerly anticipating the start of the 2015-2016 season – come on, snow! What’s your favorite winter activity? Share your thoughts in the comments below! Sometime around late 2011 my roommate and I had a crazy idea: let’s run a half marathon in the spring. I don’t recall exactly who first proposed the idea, but we both heard about the Flower City Challenge Half Marathon and decided it sounded like a cool thing to do. The interesting part? I could barely run a mile at the time. Want to start running? Why not register for a half marathon – ha! I was definitely overweight and had been carrying around some extra post-college pounds for a few years. Despite that, and the fact that I seriously considered shopping to be a good cardio workout, I somehow still considered myself to be somewhat athletic (I guess my brain never grew out of the old high school athlete phase, even during some very sedentary years). A false sense of confidence can cause one to do things they might never otherwise do, including signing up for a half marathon with no experience, guidance or even base level of fitness. Flyer – my foster greyhound and training buddy! My “training” for this race was laughable. I started out by running one mile on the treadmill at an excruciatingly slow pace – nearing the 15 minute mark. Basically, what most fit folks can accomplish during a brisk walk. In late winter and early spring 2012, just a couple of months before the race, I decided to foster a greyhound for my aunt’s rescue organization. This was actually a good thing for my “training” (I’m using that word loosely here). I was able to get in a short one-mile treadmill run at the gym after work and rush home to take Flyer, my foster dog, out for a 1 mile jog around the block. It was all super helpful until I sprained my ankle chasing him down a flight of stairs. Luckily some R.I.C.E. and a couple of weeks off seemed to help enough to start running again – a couple of miles per day and the occasional longer(ish) run on weekends. I don’t think I ever ran more than 5 miles at a time in the months leading up to my first half marathon. My roommate and I before the start of the 2012 Flower City Challenge Half Marathon. Does this sound like sufficient training for a half marathon? Nope! But it was also the most running I had done in my entire adult life. Over a couple of months those two miles a day did good things for my body, and I lost almost 20 pounds in just the first few months of the year. I toed the starting line of the 2012 Flower City Challenge Half Marathon ill-prepared but lighter, so much so that the running pants I purchased to start training were baggy on me by race day (I still wore them anyway!). We rightfully positioned ourselves at the back of the starting corral. You can almost see the start line wayyyy up ahead. Running 13.1 miles that day was every bit as grueling as I expected. I surprised myself by running the first 6 miles of the race without stopping to walk at all, and at a faster pace than I had ever run before. Of course, I paid for this during the second half of the race in typical rookie fashion. Signs along the race course in the Susan B. Anthony House neighborhood. The last several miles were very slow, alternating jogging and frequent walk breaks. There were times when I thought about giving up, but when I would check the time and see that I was ahead of my goal pace/finish time, I was filled with a new motivation to finish the race and crush my goal. What goal was that, you might be wondering? Well, this event had a cut-off time of three and a half hours, so I was hoping that I might finish around three hours. I crossed the line at 2:55:30, nearly 5 minutes ahead of my goal! The moment I crossed that finish line I was hooked! Five half marathons later and that is still my slowest finish time yet (my PR is 2:26:00 – almost a 30 minute improvement!). Despite my lack of training and the needless suffering it caused – blisters, muscle aches, exhaustion, all avoidable with proper training and preparation – the moment I crossed that finish line is one of the most memorable moments in my life. That was the moment I completely fell in love with running and racing. The Flower City Challenge Half Marathon course takes runners through some of the most historic and beautiful parts of Rochester, and it was amazing to learn how much you can see and explore in 13 miles. What was memorable about your first race? Share your experiences in the comments below!